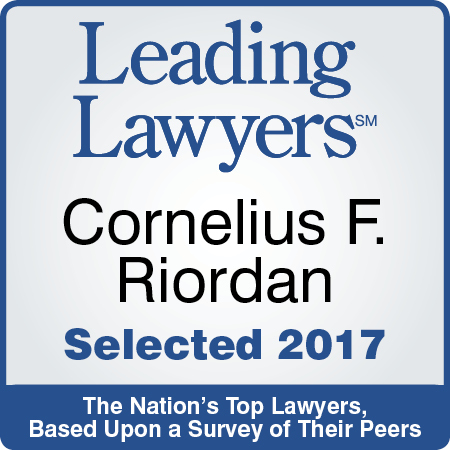 Con Riordan's practice emphasizes the representation of contractors, sureties and lenders in both litigation and transactional aspects of construction and surety law. He has tried cases to verdict for contractors and sureties as well as representing them in appeals in both state and federal courts. He also has extensive transactional experience, including preparation of construction contracts, construction loan agreements as well as documents in default and termination cases, workouts, financing of principals, asset sales and acquisitions. As part of his construction practice he has participated in mediation and arbitration proceedings. Representation of contractors, sureties and lenders in both litigation and transactional aspects of construction and surety law. Trying cases to verdict for contractors and sureties as well as representing them in appeals in both state and federal courts. Providing extensive transactional experience, including preparation of construction contracts, construction loan agreements as well as documents in default and termination cases, workouts, financing of principals, asset sales and acquisitions. Provide representation in mediation and arbitration proceedings. Con possesses great skill in representing contractors, sureties and lenders in complex litigation and transactional aspects of construction and surety law. Successfully represented a surety in the defense of a claim under a public employee’s blanket bond arising out of a claim that covered public officials who allegedly authorized $31 million in expenditures without an appropriation. Successfully represented a performance bond surety in a claim exceeding $3 million arising out of the failure of the construction of a municipal refuse incinerator in Wisconsin. Following an appeal, Mr. Riordan was able to negotiate a settlement of the claim against the surety resulting in no payment by the surety to the obligee and a recovery by the surety of its expenses from the principal. Successfully represented a surety in a multi-million dollar performance bond claim arising out of the construction of a water and sewer line project. Following an appeal in which the Appellate Court vacated summary judgment awarded to the surety in the trial court, Mr. Riordan successfully negotiated the dismissal of the obligee’s claim with the obligee making a payment to the surety. Obtained the ruling from the Illinois Appellate Court requiring that a payment bond surety proceeding under the Illinois Public Works Bond Act serve notice containing all of the required elements set forth in the statute. He has also represented sureties in multiple default cases where the principal has filed for bankruptcy or was insolvent leaving several bonded projects incomplete and many unpaid labor and material. As part of those assignments, Con drafted takeover agreements with owners or general contractors, completion agreements with completion contractors and subcontractor ratification agreements. He also led a litigation team in resolving many suits by labor and material suppliers against the payment bonds furnished suppliers. Represented a contractor client in the acquisition of a cement manufacturing business valued at over $20 million. Represented a subdivision bond surety in a case of first impression in which the Illinois appellate court recognized that the surety had a cause of action for recovery of its loss from a successor owner to the subdivision developer. Represented contractor clients and their sureties in concurrent state and federal proceedings, including appeals to the Illinois Appellate and Illinois Supreme Courts, wherein the state claimed that the contractor and others had engaged in a pattern of noncompliance of MBE/WBE participation on federally funded projects. Successfully represented a contractor client in obtaining insurance coverage for a claim involving illegal dumping of special waste and hazardous waste. 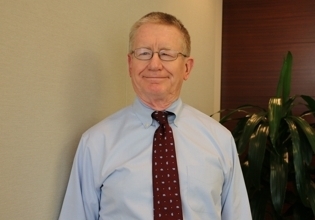 Con has presented at seminars and webinar on various construction and surety related topics. Recently, he presented a paper on liens and bonds on Illinois public projects for the Chicago Bar Association Construction Law Seminar (Jan. 2017). Panel at an Illinois State Bar Association seminar on the trial of a mechanics lien case. Leading Lawyer in Construction Litigation (2014- 2017). Subject of Feature Article in Leading Lawyers Magazine (2017). Construction Litigation Lawyer of the Year by U. S. News & World Report (2015).